For the past few years I’ve been obsessed with the idea of vitality in wine which, in tasting, is expressed via the number, type, velocity, and quality of phases the wine goes through as it evolves on the palate. Some wines feel alive. They vibrate with an electric intensity that is more than just big flavor. Others are static and moribund. Vitality is a dimension of quality that is too often ignored in wine assessment. And of course some wines age gracefully, another indicator of vitality. When there is something new and exciting in the wine world, it’s probably a good idea to ask Randall Grahm of Bonny Doon Vineyards about it since he is usually out in front of the issue. In fact, a couple years ago I heard him say he was interested in discovering the “qi” of wine, a concept from Chinese philosophy which roughly translates as “vitality”. So when passing through Santa Cruz last summer I reached out to Randall to get his views on the matter. 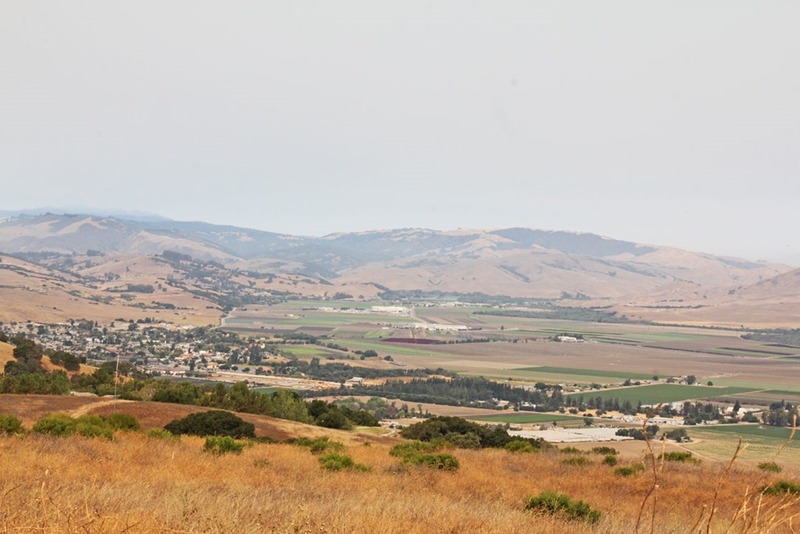 As we motored about the hillsides of his new vineyard project, Popelouchum in San Juan Bautista, the issue of vitality was woven with descriptions of this fascinating exercise in creative viticulture. Plots of Furmint, Timorasso, Ruché and Rossese, old European varieties seldom grown in the U.S., are being dry farmed and head trained to test their drought tolerance and flavor potential. New rootstock from wild vitis berlandieri seeds are showing potential; some vines are grown from seed to take advantage of genetic instability and they’re experimenting with self-pollinating vines in search of recessive genetic characteristics better adapted to this specific vineyard site; and conventional vines are used to develop new varietals bred for disease resistance and drought tolerance. Biodynamic farming practices and the use of bio-char (a carbon-based soil enhancment) to encourage mycorrhizal populations are all part of the mix. All this in addition to growing the conventional Rhone varietals that will make up Bonny Doon’s lineup going forward. The vineyard is almost ready to generate production-level yields which means there are big changes afoot for Bonny Doon. The iconic Le Cigare Volant, which has been the backbone premium wine for Bonny Doon since 1984, will no longer be a premium GSM. Beginning with the 2018 vintage it will be a Cinsault/Syrah blend designed to be consumed when young and sold for under $20. 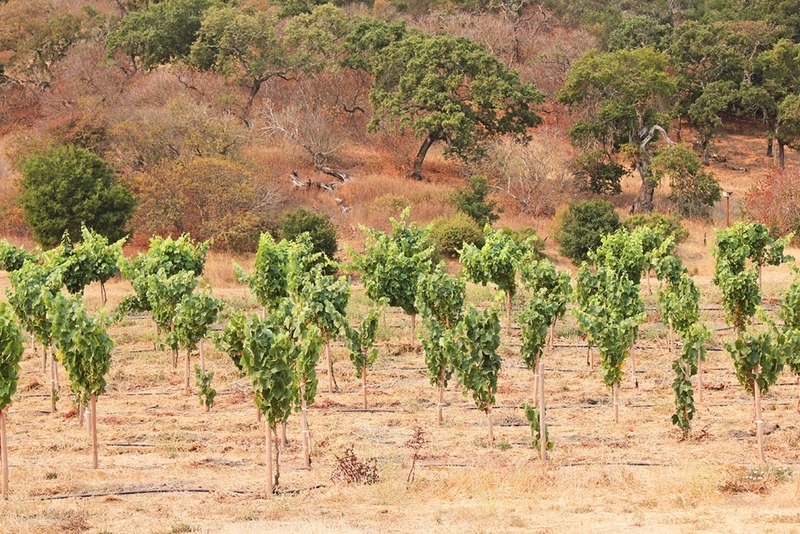 Going forward, as the Popelouchum Vineyard begins to produce, the premium wines will be from this vineyard expressing the terroir of this unique site—an event that will hopefully rock the wine world. Oh. What was I saying? Ah, vitality, vitality that was the topic. Randall began his discussion of vitality with a disclaimer. “The idea of life force is tricky, but minerality is connected, although even that is fraught with disagreement since there is no physical presence of minerals in the grapes.” Yep. Some people think this kind of talk is nuts. By “vitality” I don’t mean anything too metaphysical and by “minerality” we don’t mean that you’re actually tasting rock residue in the wine. It’s a stony, chalky, steely, or saline character that makes a wine more than fruit juice. “Reduction is correlated too.” Reduction refers to the state of wine that has not been exposed to sufficient oxygen. This creates stinky aromas, especially sulfurous notes like cabbage, garlic, or burnt rubber but also more appealing aromas such as gunflint. Reductive aromas are a natural by product of yeast metabolism and for many winemakers this is a necessary stage in the wine making process because it protects the fresh fruit from early oxidation. “Stinky aromas when young often indicate that the wine will live long”, insists Randall. Obviously, you want these aromas to dissipate when the wine is exposed to oxygen as it ages. “But screwtops intensify reduction and that’s a challenge for super-reductive wines”, he laments. Acidity is connected. Lower PH wines seem to have more life. So are suspended solids. “Unfiltered wine takes longer to saturate with oxygen”, again protecting the fruit from oxidation. And finally, vitality requires persistence on the palate which is created by acidity and tannins. “You need some green tannins or hard tannins to drive evolution on the palate”, he says. New world wines tend to have soft tannins and no green tannins, the implication being that perhaps new world wines need a bit more vitality. As for vitality, “The best wines have it”, referencing especially Domaine Romanée-Conti and Côte-Rôtie. This is a complex topic. Notice Randall speaks of correlation, not causation when discussing the factors contributing to vitality. There is a lot we don’t know. I’m a bit surprised by the connection to reductive wine making. Orange wine, barrel fermented Chardonnay and the vins jaunes of Jura are oxidative wine making styles and some of these wines have vitality. Many red wines, especially Cabernet Sauvignon, need oxygen to facilitate polymerization and color stabilization so the wine making for some varietals is less reductive. So there are lot of factors involved. As with so much of wine making, it is a matter of how much oxygen and when it is introduced. Thanks to Randall for taking the time to show us his inspiring vineyard and validating my obsession with vitality. For more on how wine expresses vitality see my monthly column at Three Quarks Daily.